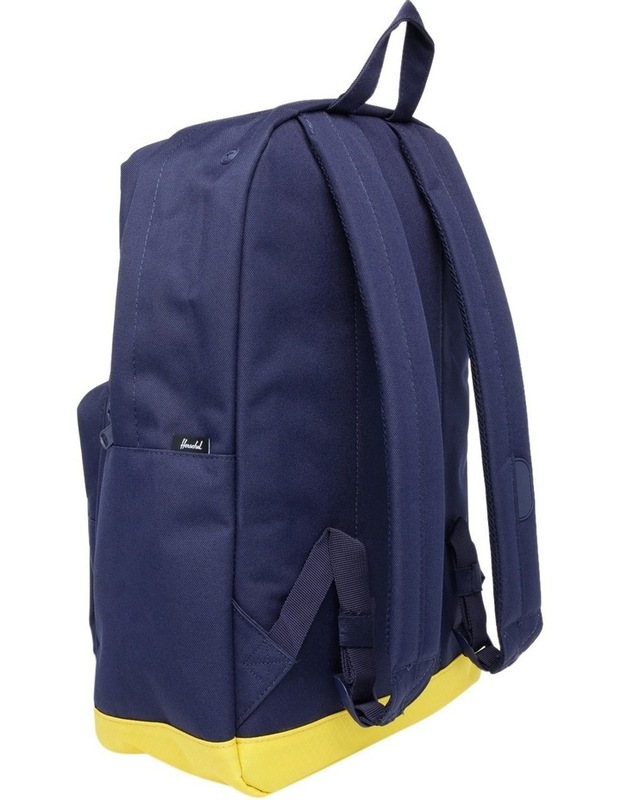 Well equipped for school and work, the Pop Quiz backpack features a versatile range of storage pockets and organizers. Signature striped fabric liner. 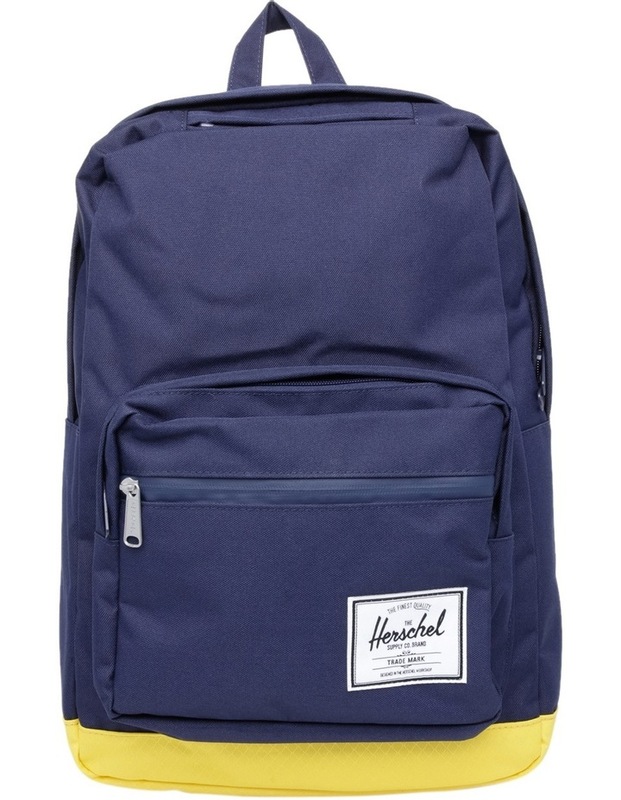 Padded and fleece lined 15 laptop sleeve. 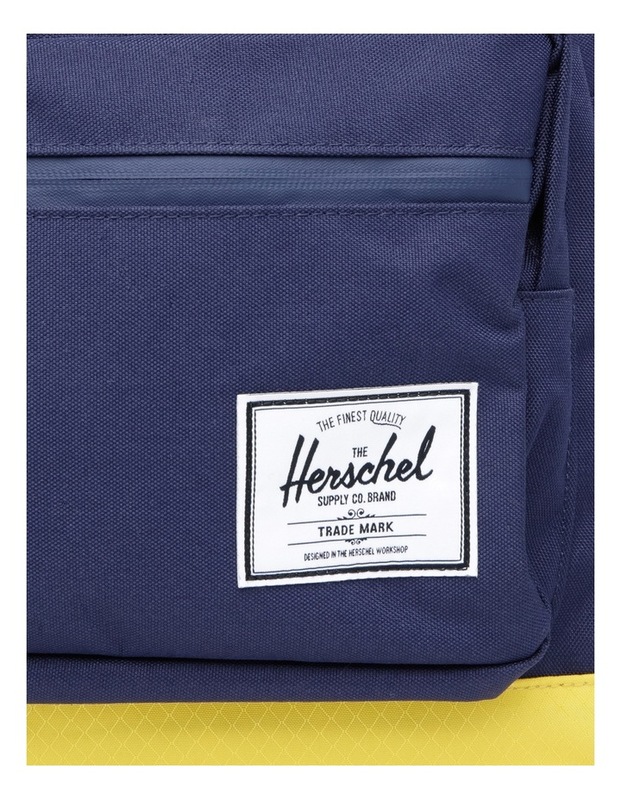 External pocket with organizers and key clipFront storage sleeve details and signature Herschel Supply finishes. 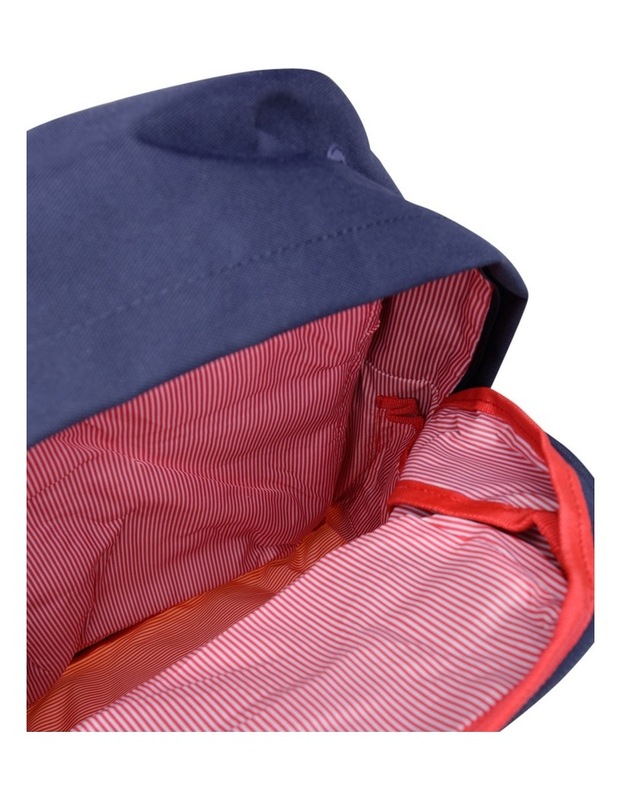 Signature striped fabric liner / RFID blocking layer. Synthetic leather spine panel. Multiple card slots.